Wolves… the very word evokes a sense of wonder, admiration and fascination, albeit tempered with a healthy undercurrent of instinctive apprehension. Awe and fear: that’s a pretty evocative combination. 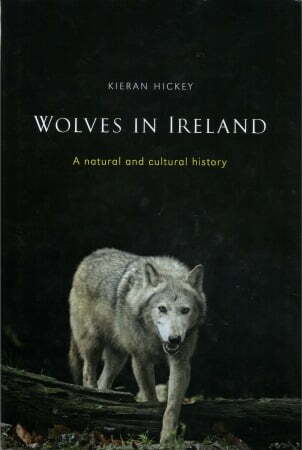 When I heard about “Wolves in Ireland – A natural and cultural history” by Kieran Hickey, published by Four Courts Press, I couldn’t wait to read it! Whenever I think of wolves I can’t help but wonder how a creature so sleek and powerful, a presence that is so unequivocally there, can at the same time manage to feel somehow ethereal, almost mystical. I was hoping the book, by exploring the role of the wolf in our culture and mythology, as well as it’s natural history on this island, would offer a little insight. The wolf disappeared from Ireland much more recently than you might think. While other extinct large mammals like the brown bear, the wild boar and the wildcat have been missing from Ireland’s landscape for at least 1,000 years, the wolf was present into the late 1700s, with some reports suggesting they endured into the early 1800s. Interestingly they survived here much later than their counterparts in Great Britain, which were exterminated much earlier (during the the 1300s in England and Wales, and the late 1600s in Scotland). An intrinsic part of the Irish landscape for a very long time, the wolf was here long before the first people set foot on this island. According to the author the archaeological record shows that wolves were present a good 20,000 years before the arrival of the first people. So wolves, and interaction with them, have formed an intrinsic part of life in Ireland for people from the very beginning until relatively recently. Little wonder, then that references to the wolf permeate our history, folklore, mythology and place names. All of this fascinating stuff the author deals with very thoroughly and methodically. At times too methodically for a volume that is, by all accounts, aimed at the layperson. Much of the prose would benefit from a bit more pace, and active rather than the passive voice of scientific writing. That criticism aside this book offers a fascinating insight into the world of what was undoubtedly one of Ireland’s most remarkable predators, the possible triggers for it’s decline and ultimate demise, and the thorny issue of possible reintroduction. A great addition to any wildlife enthusiast’s bookshelf, I can also see “Wolves in Ireland” having broader appeal to those interested in our cultural heritage, and the role this iconic predator has played in defining the Ireland we know today. 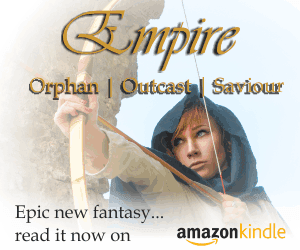 You can buy it online using the links below, or find it in all good bookshops. Kieran Hickey is a lecturer in the Department of Geography, NUI Galway. He is the author of “Deluge: Ireland’s weather disasters 2009-10” (Open Air 2010). Hello is their any copy’s available ? Hi Cormac, I would have assumed so, yes, as it’s a relatively new book — but looking at the publisher’s page for the book it appears you can now only buy it from them now if you’re based in the US… which is bizarre for an Irish publisher. Their suggested alternative is the International Specialised Book Catalogue, where it’s listed as in stock, or you may find sellers on Amazon who have the title available. I tracked down a copy from one of the bigger bookstores in Limerick last year having exhausted all options in cork. It was there last copy though. I was going to buy it from the Galway university bookstore….on campus. They had some copies but wouldnt accept a credit card. Id say try them they may still have some. Hi Cormac… Wolves in Ireland has been reprinted in paperback format and is avialable from the publishers website here, and on Amazon.co.uk here — although its currently showing as “Out of Stock on amazon.